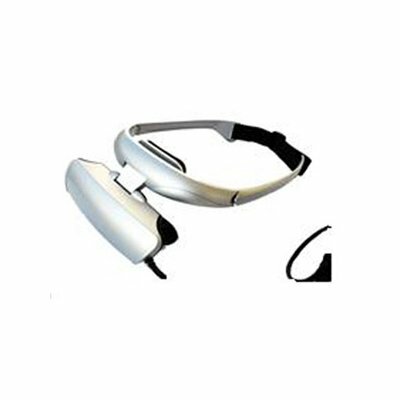 Successfully Added Video Headset, 40 inches, 2m away, RGB, AV interface to your Shopping Cart. Can be used as display for game players, portable DVD players and Car DVD players. This wholesale product features excellent design and represents the latest technology for this application. GVD510 with 40" screen and 920K pixels resolution offers you clear and exquisite pictures, which makes your watching seem true. Elaborate design, light and portable structure of GVD510 inherit from GVD310 and GVD410, which enables enjoying entertainment and work in whatever pose. The lithium battery LP1100 can supply power for 5 consecutive hours, making the user more convenient while travelling. Connected to Car DVD player as an entertainment on the trip. This product is provided boxed with all the necessary cables and drivers. Menus are set in English language by default. Chinavasion will check your delivery destination and provide the correct power adapters and/or plugs for your delivery country. Where DIN and ISO standards vary, or where there is a choice between PAL and NTSC standards, Chinavasion will select the correct option for your delivery country. If you need additional detailed information about this product, please use the contact form to make a query. Please make your questions as specific as possible, and remember to quote the item numbers (or website URLs) of the products you’re interested in. All products listed on Chinavasion are new and sourced direct from manufacturers in China and are currently in stock. For popular items we are sometimes temporarily out of stock - if you require deliveries urgently, please enquire before ordering. All products from Chinavasion are guaranteed and are covered by a 12-month return/repair warranty.